– Valentina, you won the match against Ingrid Aliaga Fernandez from Peru. What was in the match? – Yesterday I played with Black and I was lucky to win. When you win in such a tournament with Black this is really a good chance. You just need to make a draw with White the next day. That’s what I did today. So I was lucky. – In how many knock-out championships have you played in your career? – If I am not mistaken, this is my fourth time. But I am not sure. I was kicked out from the third round I guess. This was my best result by now. 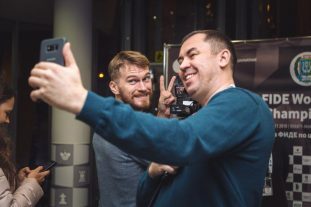 – Of course, everybody here is determined to win the World Championship. 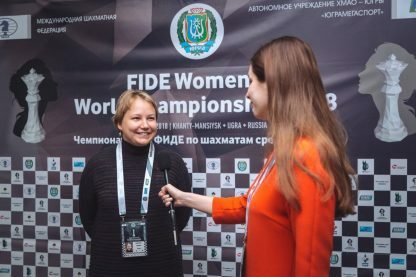 And what is your idea about the changes in the system of the Women’s World Championship cycle? – I want this changes very much because knock-out tournament is a very nervous thing. One mistake and it is over. 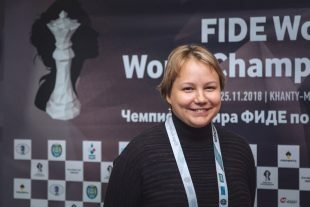 I would prefer to play in a round-robin event such as Women’s Candidates Tournament.